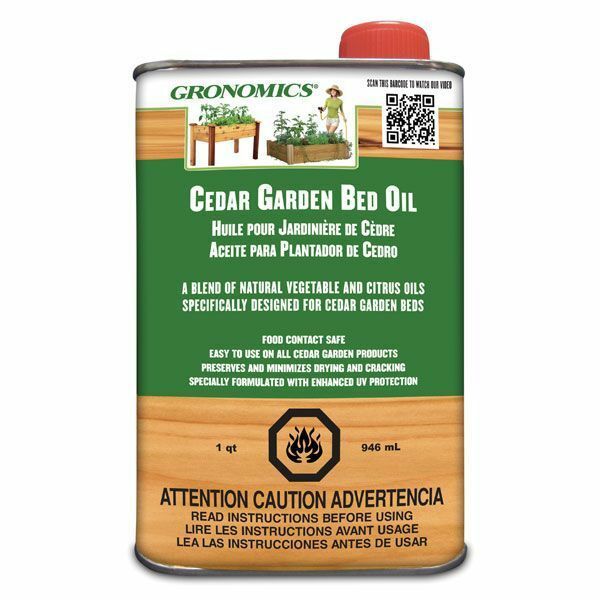 This Cedar Garden Bed Oil can be used with all Gronomics Red Western Cedar products. Wondering if it will work with your current garden bed? Just ask us! 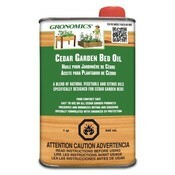 Cedar Garden Oil is non-toxic, easy to apply, food safe, and provides a beautiful finish. Oil should be applied when air/wind temperatures are between 50-90˚. Avoid applying this in the direct sunlight. 1 quart will cover roughly 100-150 sq feet.